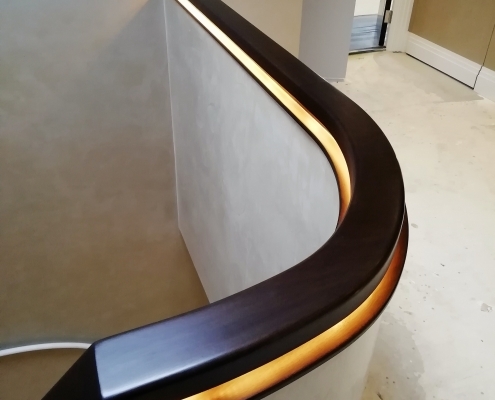 Handrail Creations are raising the bar again when it comes to handrail design. 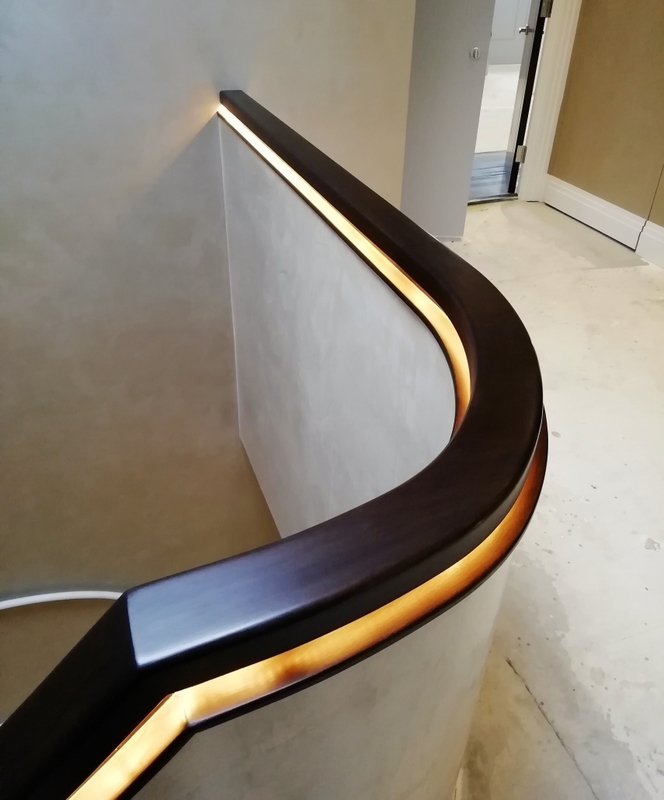 Working with architects Fisher id, our in house team of engineers and designers created a geometric style rail which houses continuous LED strips and associated cables, producing a striking final product. 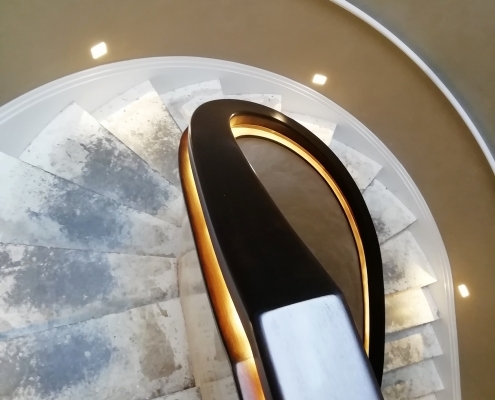 The black walnut helical handrails were fitted on top of a polished plastered solid balustrade and ran through three floors continuously of this high end residential project in London. 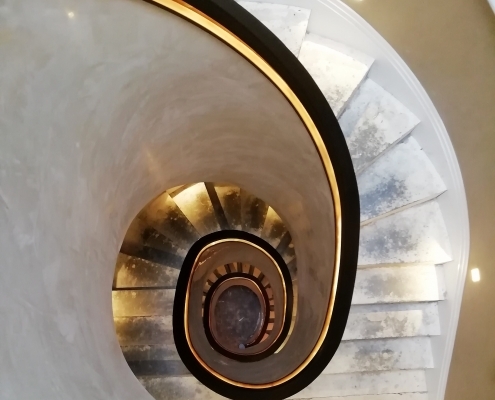 The contractor and and architect were looking for a stand out feature for the multi million pound home and appointed Handrail Creations to engineer their vision into reality. 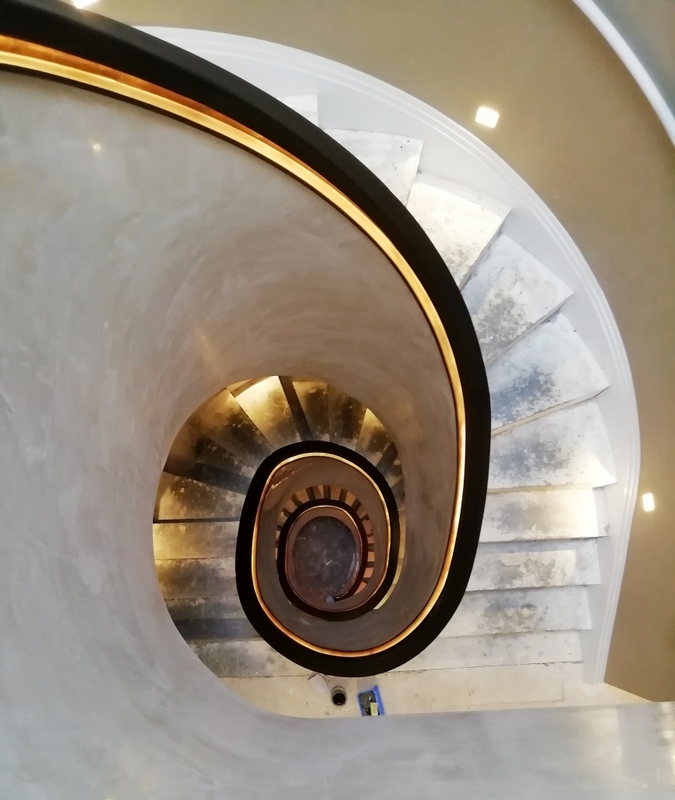 Our team surveyed the top of the plastered wall, allowing us to account for and correct any undulations prior to install. 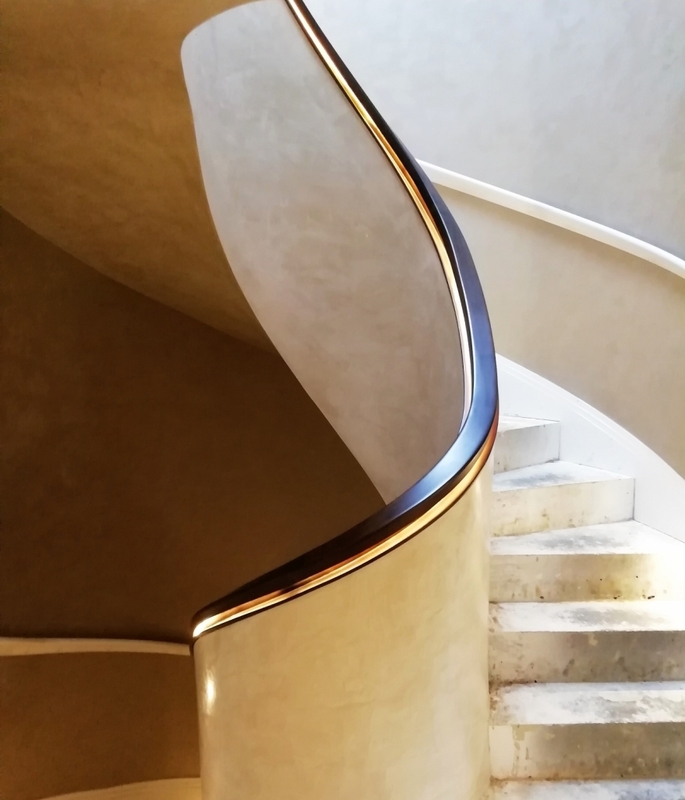 If you look closely, we also produced and installed 17 metres of helical ‘pigs ear’ handrail and painted them white for a stark contrast. 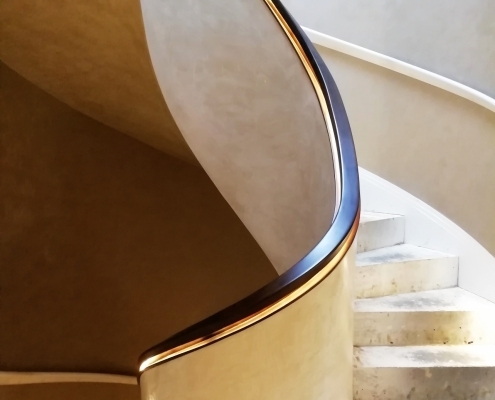 In the modern construction sector, it’s crucial that we keep pushing our design and manufacturing boundaries. This project shows that not only will we work outside of our comfort zone, but that we thrive outside of it. 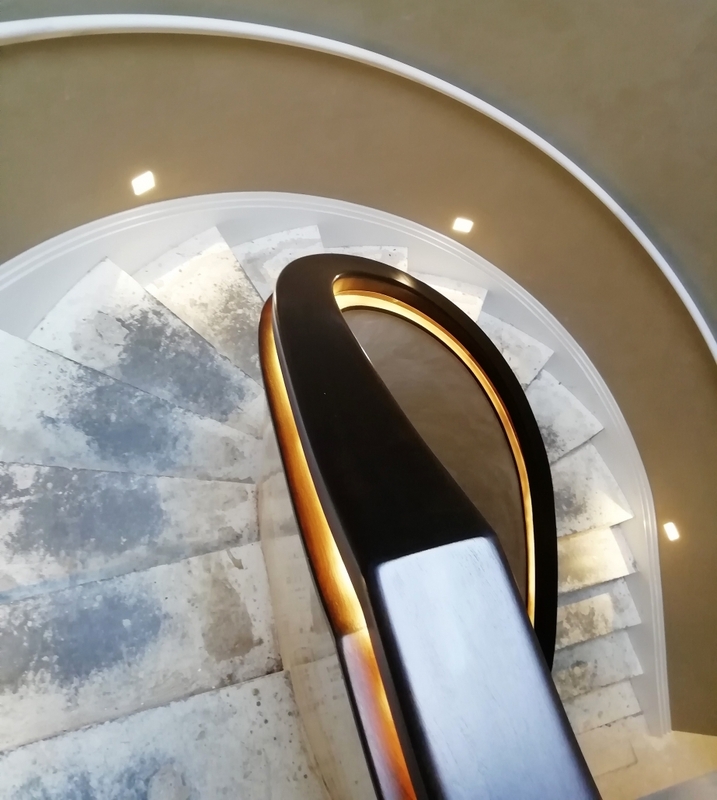 Whilst others stand still, we are leading the market with unrivalled design and manufacturing services and a can-do attitude.